We'd never heard this one before. 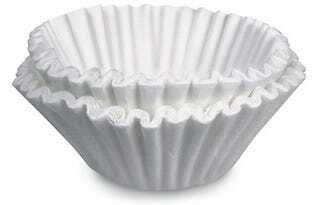 Coffee filters can be used to clean the tips of ethernet cables if you're having troubles with the line. After reporting some issues with their internet connection, technicians advised the folks over at Unplggd to wipe the tips of their ethernet cord with a coffee filter. Apparently the filters are excellent at catching loose impediments like lint, plus the technician reported witnessing more than on instance where installers had left cheeseburger grease on cords. Gross.